The Church has rules. That’s not open for debate. Some of these rules come from doctrine: God has taught us, and we cannot disobey these rules without disobeying Him. Others come from the Church applying her beliefs to face situations that arise in a given time, We cannot disobey these rules (Luke 10:16), but the Church can decide to change them when conditions change. Dangers arise when people confuse these things. If one assumes that Our Lord’s teaching is a “man made rule,” or that a discipline is Our Lord’s teaching, they wind up rebelling against Our Lord and the Church He established. There’s more to it than that, however. Some confuse their assumptions about Scripture or about Church teaching are the teaching of Our Lord or His Church, when they actually apply restrictions or laxity which are not present. As Catholics, we’re blessed to have a Magisterium which has the right and responsibility to determine how these teachings are to be understood and applied in each age. They have the authority to decide when a change of discipline is needed and how Our Lord’s teachings, as passed on to us by the Apostles, faces the new challenges from the world. Our Lord gave the Church the authority to bind and loose in His name, and this authority did not end with the death of the Apostles, but continues on with their successors until the end of the world. There will occasionally be Judases among them, but we believe the Lord will keep His promises and protect the Church from teaching error. These promises are important. If we did not know who was protected from teaching error, we could never know who we could trust to properly bind and loose. 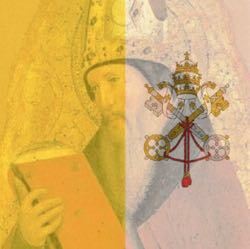 If the Bishop of Rome could sometimes truth and sometimes err—as happened with the patriarchates of ancient Christendom—how could we know who to turn to? The history of the ancient Church tells us of sincere men who believed that the words of Scripture taught something contrary to the Church. These men persuaded emperors and patriarchs to embrace errors about the faith. It was only the Bishop of Rome that consistently resisted these errors. Sometimes that was tenuous—that a Pope might only be silent instead of teaching error—but the evidence shows that Popes did not teach error when using their authority to teach [†]. If a Pope were to teach that it was permissible to do evil, this would be a matter of the Church binding error, permitting a Catholic to do something which endangered their souls. The next Pope to do this would be the first. Understanding this, we can see how reckless it is to accuse the Pope of teaching error, against the true faith of the Church. Such an accusation goes far beyond the accusation of the man holding the office. It must assert that God does not protect His Church and we must decide for ourselves when the Church teaches rightly or wrongly. That’s a recipe for spiritual anarchy, and contrary to what the Church teaches about herself. Code of Canon Law: New English Translation (Washington, DC: Canon Law Society of America, 1998), 248. Yes, we can have (charitable) differences of opinion on how to best carry out these decrees, but we can’t refuse obedience in the name of appealing to an earlier teaching of the Church or by trying to contrast the Bible with the Church. Unfortunately, people do make these appeals. Critics of St. John Paul II appealed to the Bible with selective quotes on love and mercy. Critics of Pope Francis try to argue that he contradicts his predecessors. The problem is, if we accept their claims, we’re back to the problem of never being able to know when the magisterium taught truly and when they did not. Some liberal Catholics reject Popes they dislike. Some conservative Catholics do the same. Without a final authority, who can determine who is right? We’d be reduced to making the appeal the Mormons make about the Book of Mormon: Feeling a “burning of the breast.” But heretics feel just as strongly about their errors as orthodox Catholics feel about the truth. So we can’t rely on what feels right, or how we interpret Scripture or Church teaching. We must use the magisterium as the guide. If we proclaim that we can’t trust the authority of the Church today, then we have no guide at all. We merely have a Church with a billion Popes. We can trust God to protect the Pope from teaching error as Pope. That can either be through extraordinary tools, like ex cathedra teachings, or it can be from preventing a morally bad Pope from teaching, or somewhere in between. But we can’t declare a teaching we dislike as somehow being an exception to our obligation to obey the Pope when he teaches. We can’t invent excuses not to obey. So, having faith in God to protect His Church, we should pray for the Pope and bishops to be effective teachers. [†] Pope John XXII held a private opinion on the Beatific Vision which his successor later defined to the contrary. But at the time, it was not defined, and he did not teach as Pope on the subject. Pope Honorius may or may not have personally believed in Monothelitism (Scholars are divided). However, he did not formally teach it as Pope. The documents under contention were private letters. [*] Ironically, some of these critics will simultaneously say that a Papal statement is not binding but somehow prove the Pope is “teaching error.” If it is a teaching, it is binding (See Code of Canon Law, #751-754). If it is not teaching, the Pope is not “teaching” error. [§] For example, Benedict XVI’s Jesus of Nazareth trilogy was very insightful, but not protected under infallibility.